One day after a California jury in federal court awarded plaintiff Edwin Hardeman nearly $81 million dollars for his development of non-Hodgkin’s lymphoma from use of glyphosate-containing weed killer, the Alva and Alberta Pilliod trial got underway in state court in Oakland, California. The Pilliod case is the third glyphosate case to go to jury trial, and the second in state court. Last year, in state court in San Francisco, California, a jury found Monsanto liable in the Dewayne Johnson case for Johnson’s injuries from glyphosate-containing weed killer, issuing a $289 million verdict (which was later reduced to $78 million). 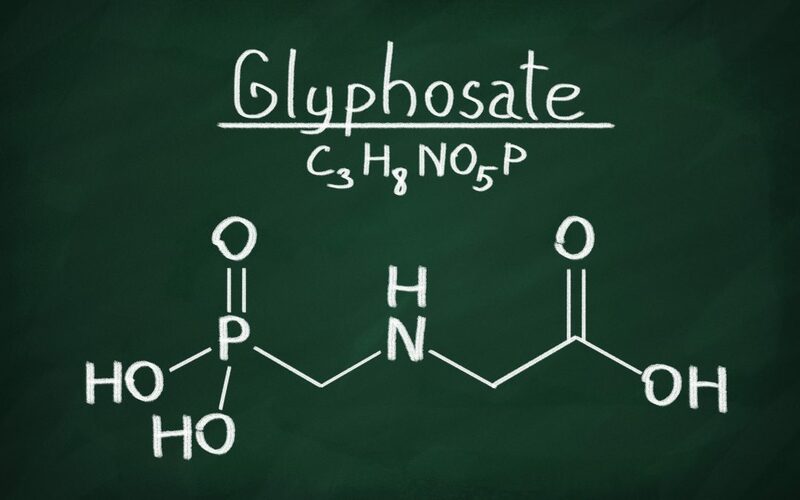 In the seminal glyphosate case, plaintiff Dewayne Johnson, age 46, alleged that his non-Hodgkin’s lymphoma was caused by mixing and spraying Roundup as the groundskeeper for a school district in California. His case was expedited for trial due to his declining health. The four week trial included testimony from statisticians, doctors, public health researchers and epidemiologists who disagreed on whether glyphosate can cause cancer. After three days of deliberations the 12-member jury found that Monsanto’s Roundup and Ranger Pro weed killing products were the cause of Johnson’s rare form of non-Hodgkin’s lymphoma. The jury also found that Monsanto had failed to properly warn customers of the risks associated with using the products and that the company acted with malice, oppression or fraud. Last month, in the first federal bellwether case, a jury unanimously found defendant Monsanto liable for failing to warn that its Roundup weed killer could cause cancer, a negligence claim and a design defect claim. Edwin Hardeman alleged that his use of Monsanto’s Roundup to kill weeds and poison oak on his 56-acre property for more than 25 years resulted in his development of non-Hodgkin’s lymphoma. Unlike the Johnson case, the Hardeman case was tried in two parts after Judge Chabbria granted Monsanto’s request for a bifurcated trial, with phase one to focus solely on causation and phase two, if needed, to examine liability and damages. At the time, the bifurcation was viewed as a defense victory because it prevented jurors from hearing allegations about Monsanto’s alleged conduct seeking to influence the scientific findings regarding glyphosate during the causation phase of trial. However, after hearing from experts on both sides, at the close of phase one the jury found that Monsanto’s glyphosate containing Roundup weed killer was a substantial factor in causing Hardeman’s non-Hodgkin’s lymphoma and at the end of phase two, after hearing allegations that Monsanto was aware of a number of studies that linked Roundup to cancer, the jury awarded Hardeman nearly $81 million dollars which included $75 million in punitive damages. The Pilliods, who have been married for nearly 50 years, allege that they both developed non-Hodgkin’s lymphoma from their long-term use of glyphosate-containing weed killer. While their cases will be tried together, their trial will not be bifurcated into causation and liability phases as in Hardeman. Much of the evidence is expected to be similar to what was presented during the Johnson trial last year. Pilliod is one of hundreds of Roundup non-Hodgkin lymphoma lawsuits grouped together under the California Roundup Judicial Council Coordination Proceeding before Judge Winifred Smith for the Superior court of Almaeda County. During opening statements, the 16 person jury heard from plaintiffs’ attorney that the Pilliods sprayed an estimated 1,500 galloons of Roundup for almost 35 years and that they believed it was harmless until seeing a commercial that stated Roundup could cause cancer two years ago. The jury also heard allegations that Monsanto scientists ghostwrote papers in the early 2000s and then used those papers to persuade regulatory agencies of glyphosate’s alleged non-toxic nature. Monsanto’s attorney told the jury to focus on the evidence, including a decades-long Agricultural Health Study, which did not show a link between glyphosate and cancer. He also told the jury that the Pilliods both have a family history of cancer, that Alva was a smoker and previously had skin cancer, and Alberta has had bladder cancer twice. In addition to opening statements, last week the jury heard from two of plaintiffs’ expert witnesses, Charles Jameson, an environmental toxicologist, and Dr. Christopher Portier, a retired U.S. Government scientist. Both witnesses testified that glyphosate causes tumors in mammals, malignant lymphoma in mice and oxidative stress in human cells. Trial resumes this week with UCLA epidemiologist Dr. Beate Ritz taking the stand. The Hardeman trial was only the first of three federal suits that were designated to go to trial as a way of showing both sides the possible outcomes: bellwethers for over 800 similar case filed in federal courts across the United States. However, last week, Judge Chabbria vacated the trial date for the next federal case scheduled for trial and has asked Bayer (which bought Monsanto last year) to begin mediation with lawyers for the injured plaintiffs who have sued Monsanto alleging Roundup caused their cancer. Bayer previously stated that the Hardeman verdict would not impact other pending cases because the facts of each case are unique and that the company would continue to vigorously defend Roundup which it considers safe. While there has been an influx of lawsuits filed against Monsanto by plaintiffs alleging that they developed cancer from their use of Monsanto’s Roundup and Ranger Pro products, those are not the only glyphosate related suits to date. In the United States there have also been suits against a handful of food manufacturers, primarily alleging that the companies failed to warn customers that their products contain glyphosate. Looking ahead, we could see claims against other manufacturers of glyphosate containing herbicides, downstream actors, overspray claims and an increase in claims against the food industry. For now, we will watch the Pilliod case to see how Monsanto fairs defending its third Roundup case at trial.